Today, begin driving to one of the most popular backwater destinations of Kerala, Alleppey. Arrive at Pallathuruthy Jetty, and complete the check-in formalities by 12:00 PM. Sail through the stunning attractions of Vilakumaram Thodu and Kanitta. Soak-in the serenity spread all around and savor the delightful views. Enjoy special lunch on-board, prepared by the trained chef. The houseboat cruises through SNDP thodu, Kuppapuram, and Vembanad Kayal. Later, halt at Kainakary to partake in canoeing for an hour. This activity here is equally popular amid adventure lovers and nature lovers. Go aboard the cruise that sets off to Kuttamangalam, Chennengary through Nedumudi. Spot colorful birds, spot the locals indulged in their daily work and more. Enjoy sumptuous delicacies during a traditional dinner on-board the houseboat. 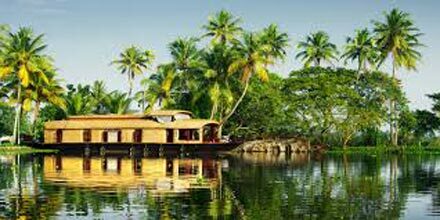 The houseboat arrives in Kumarakom today. After breakfast, complete the check- out formalities and de-board the houseboat. Thereafter, start your road journey to Kumarakom. As you reach, check- in to the hotel. The rest of the day free at leisure. Kumarakom is a lush pristine town on the banks of Lake Vembanad. Some of the attractions of this place are its backwater houseboat cruises and avifauna wealth. The place has been blessed by peaceful environs. Explore the place on your own. 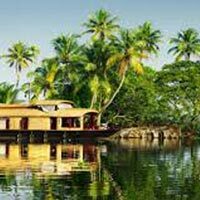 After breakfast on the last day of the tour, check out and get transferred to the Cochin Airport for boarding the flight for onward destination.